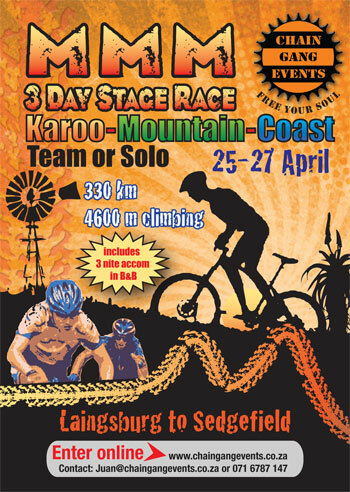 The Mad Mountain Marathon (MMM) is a 3 day MTB stage race from Lainsburg to Sedgefield which will be held from the 25th to the 27st April 2014. The race has specifically been designed to accommodate a fit rider who loves to ride in remote places but is not set on riding technical routes. The route therefore involves back country roads and trails but not technical single track (the few technical sections can be portaged). The countryside through which the rider passes is spectacular and the overnight stops will be a welcome oasis. This ride is not for the novice rider and experience in multi day riding will be useful as the distances may prove too challenging for the novice. Lainsburg is just 2hrs drive from Cape Town which makes it the ideal starting point for a sublime 3 day MTB adventure from the Karoo to the inland lakes and coast of the Wilderness / Sedgefield area. The finish is in Sedgefield which will ensure that a well-deserved rest can be enjoyed by all finishers and family in this coastal town. 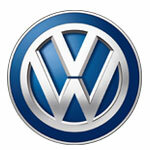 On the way the overnight stops and race village will be at Prins Albert and Oudtshoorn. These smaller town are famous for their hospitality which will ensure a comfortable nights rest. The focus is on staying in comfort and to this end we have teamed up with local accommodation establishments to ensure great rates for a comfortable nights rest. The option of staying in the tented village is still available and included in the entry fee. This is the inaugural event and in order to ensure we provide top class services for the competitors, the race will be limited to 50 teams of two members each. 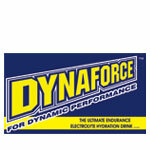 Team (2) entry fee is R6900 and for Solo riders R3900. Do not miss out on this affordable MTB stage race. The first day starts from the town of Lainsburg where registration will take place in the evening of the 24th of April, and heads in a southerly direction out of town towards and then over the rolling hills and koppies towards the Flouriskraal dam. The riders then turn east and follow the old “saai pad” towards Prins Albert. 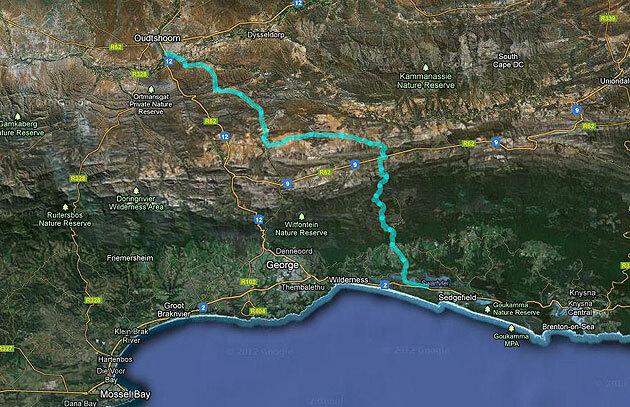 The first part involves some rolling hills with gradual climbs which take you to the highest point on the route. Lainsburg and Prins Albert are at the same height so the elevation gain now pays off as one hits the long and winding route to Prins Albert. Both the Dwyka and the Gamka rivers have to be crossed. Don’t count on their being water in either of them although they do come down in flood from time to time. Once over the Gamka river the riders will continue in an easterly direction along the base of the mountains to Prins Albert. There will be 3 water points along the route and although the distance is 130km, due to the small amount of climbing, the leaders should complete this day in about 5 - 6 hrs. The day starts with a short ride out of Prins Albert before the rider hits the spectacular but long and steep Swartberg Pass and the climbing begins in earnest. Unfortunately there is only one way and that is up but the views from the top are well worth the effort. Once over the mountain its downhill for about 15km until the rider hits the rolling foothills of the Matjiesvlei valley. From there the riders head south and wind their way to an overnight stop at a well-known guest farm on the outskirts of Oudtshoorn. 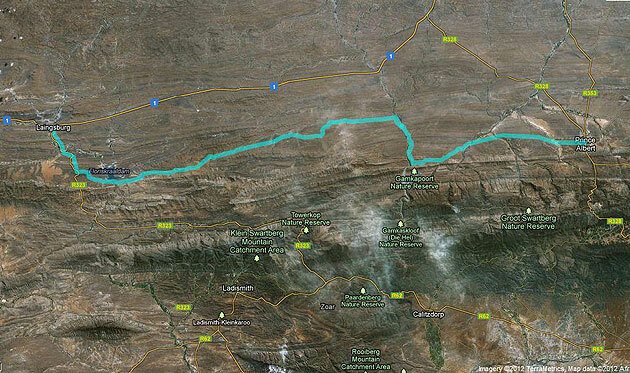 The distance of this day is 100km which should take the leaders about 4hrs to complete. 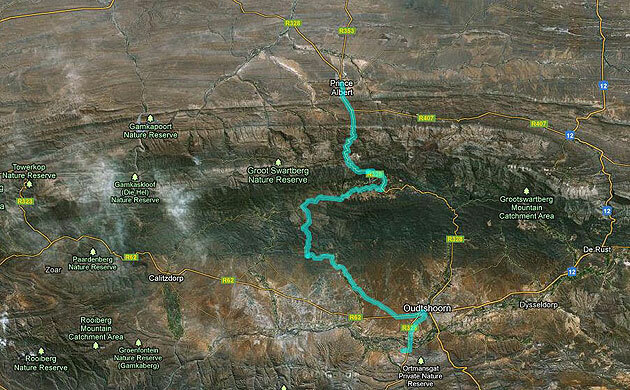 The day begins in just outside Oudtshoorn and follows the winding gravel roads to Louvain Guest farm. 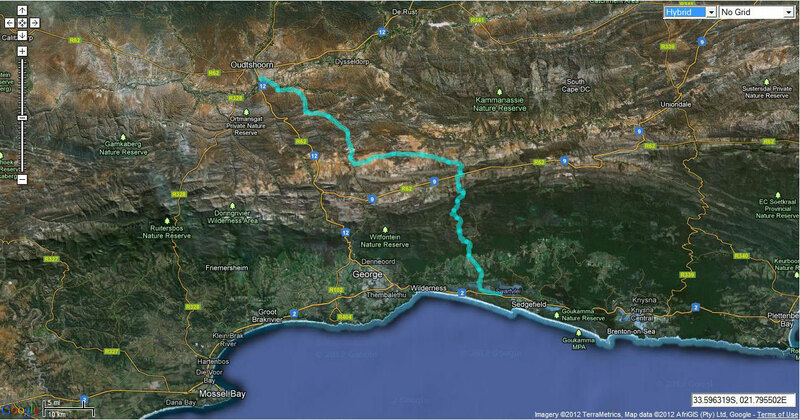 After stocking up with food and drinks at this water point, its over the Outeniqua mountains and down to the coast. It is here that there is a short piece of technical riding which can be portaged for if you don’t feel comfortable riding. Then its on through the forestry tracks and trails and down to the finish just outside Sedgefield. This day is about 100km and should take the leaders 4,5 hrs to compete. 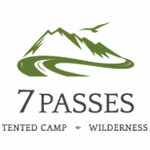 What makes this event unique is that although it is a race, the focus is on enjoyment of long, fast back road riding through wilderness areas and comfortable, cozy overnight stops. This race is ideal for those who want a change from the intense, short and technical multi day races which often mean you zig zag back and forth for the days ride only to end up where you started.